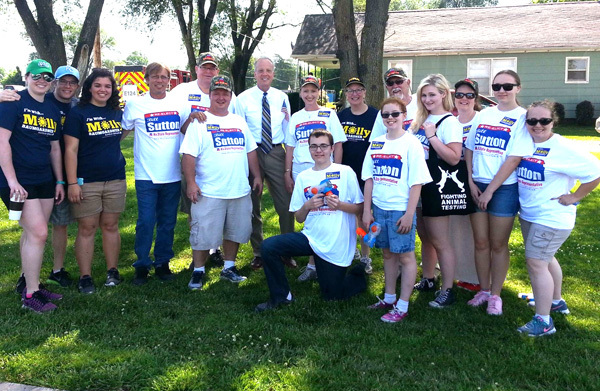 Bill speaks at a candidate forum June 18, 2016. 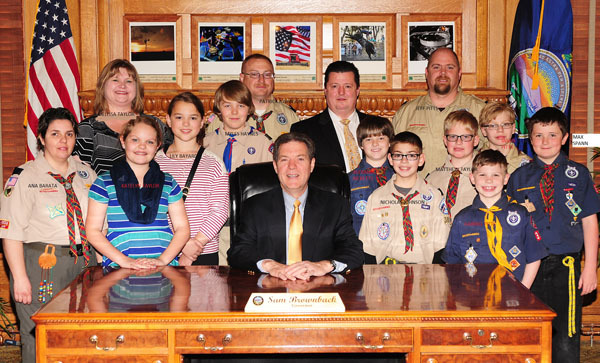 On Monday, March 16, Rep. Sutton was visited at the Capitol in Topeka by Webolos from Pack 3088, Den 8, and their leaders. 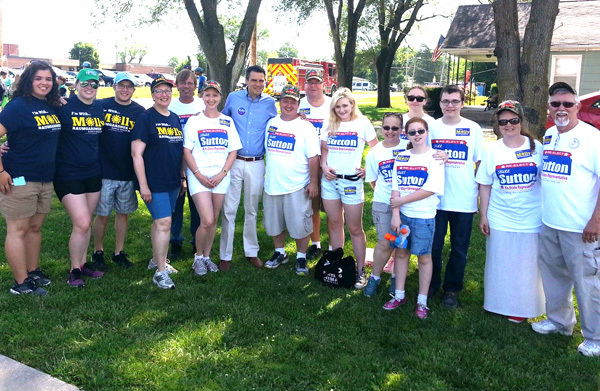 Besides Governor Brownback (seated) and Rep. Sutton, appearing in the photo are Patrick Johnson, Jeff Pitts, Melissa Taylor, Myles Haynes, Jason Pitts, Lily Byard, Alex Ricketts, Matthew Taylor, Max Spann, Ana Barata, Katelyn Taylor, Nicholas Johnson, and Gabriel Pitts. These students had the opportunity to page for Representative Sutton at the Topeka State Capitol on March 5, 2014. 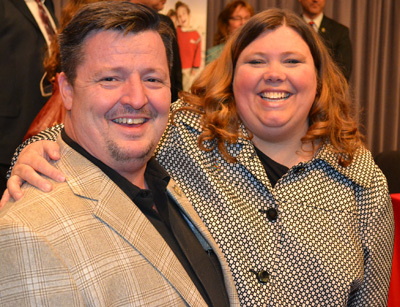 Their paging duties included running errands for Legislators while they served in the House session. They also were given the opportunity to take a historical tour of the Capitol Building. 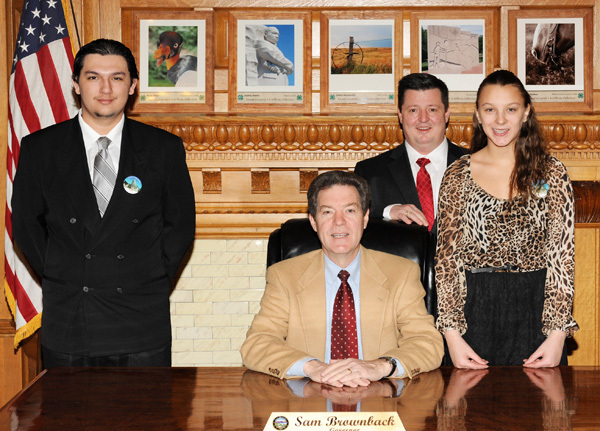 Left to right are: Mario Perez, Representative Sutton, Laura Maurer, and seated is Governor Brownback." These students had the opportunity to page for Representative Bill Sutton at the Topeka State Capitol on February 19, 2014. The pages helped Legislators by running errands for them while they were in the House session. Later in the day, pages were able to take a tour of the Capitol Dome. 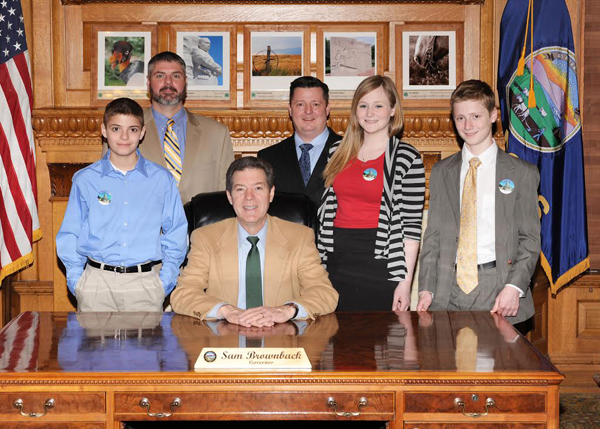 Left to right are: Zane Stutzman, John Stutzman, Representative Sutton, Hannah Sutton, Liam Sutton, and seated is Governor Brownback.